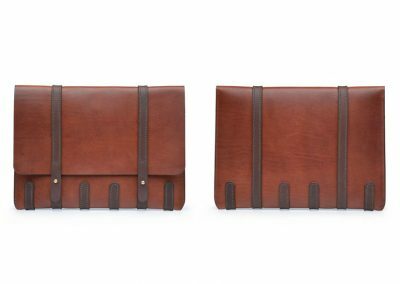 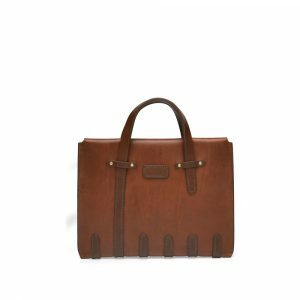 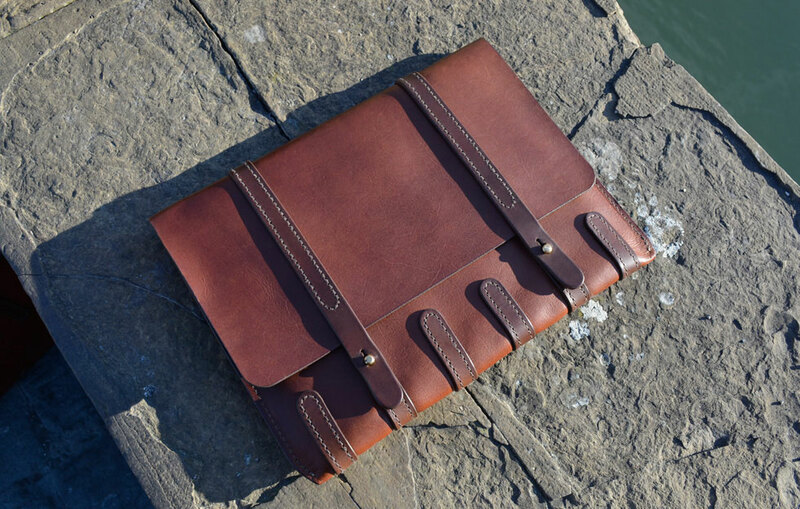 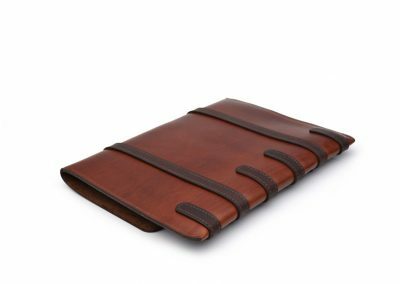 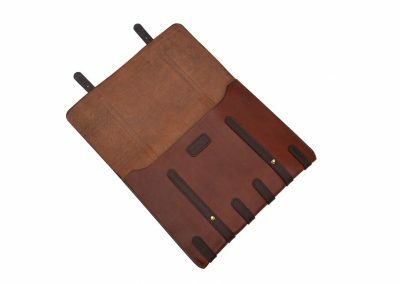 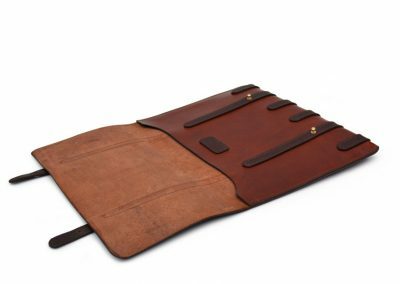 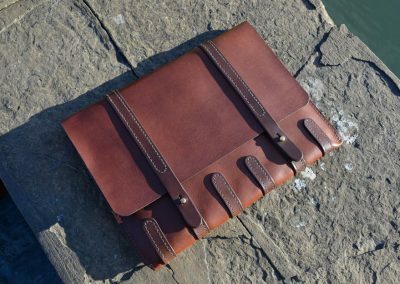 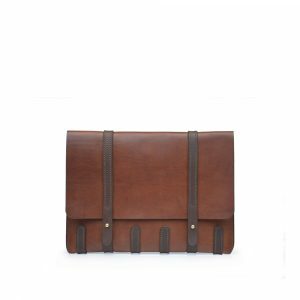 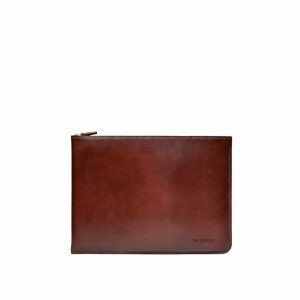 The Folder is the ideal device and document carrier for busy executives seeking a stylish, yet practical workplace accessory. 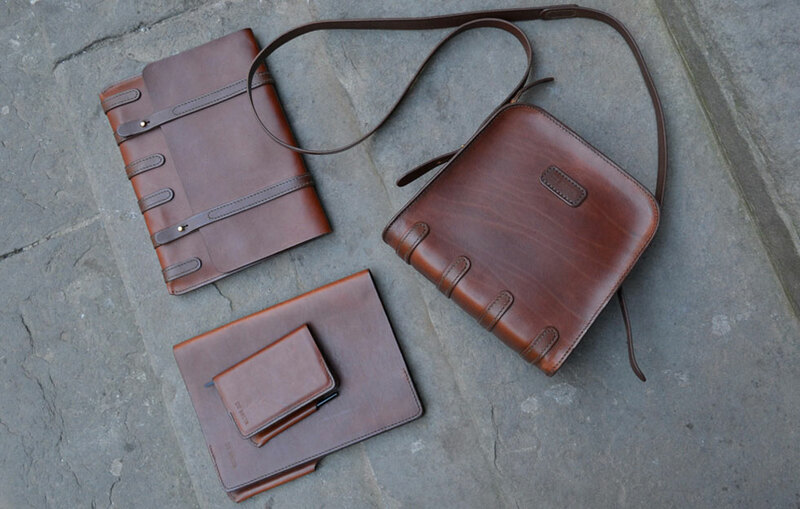 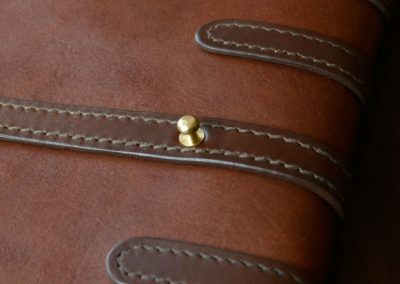 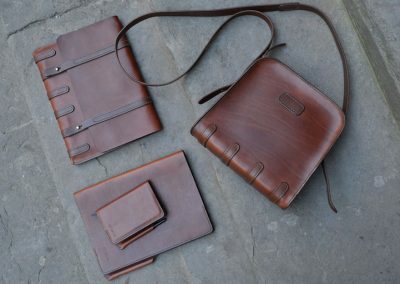 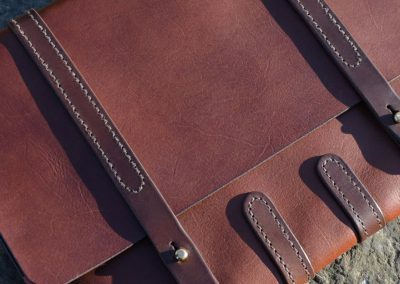 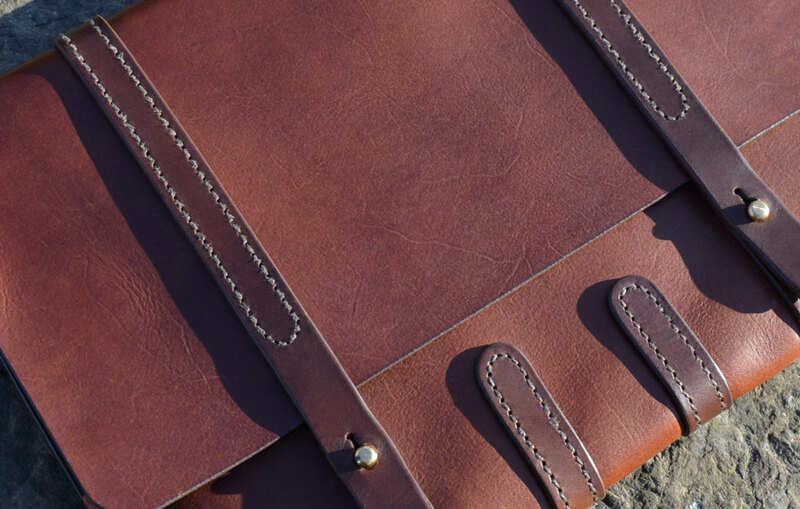 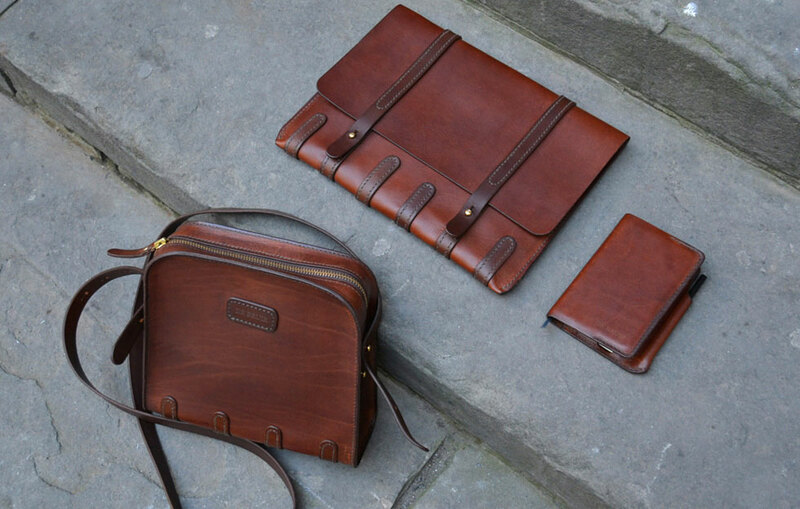 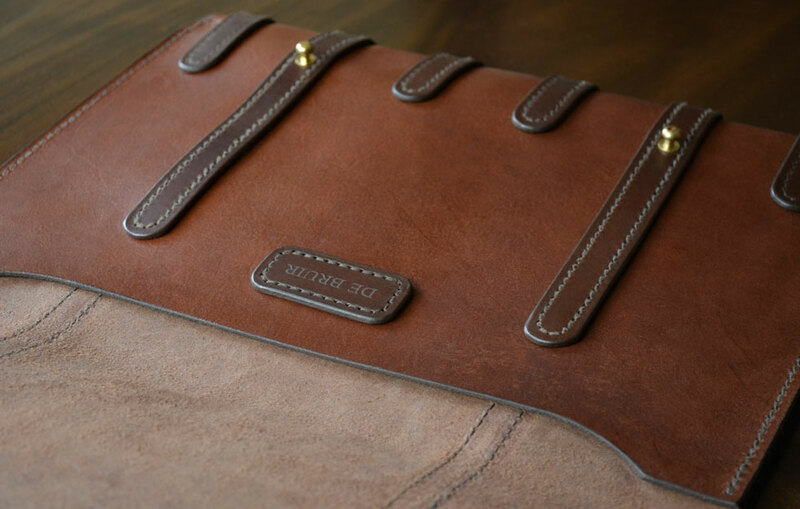 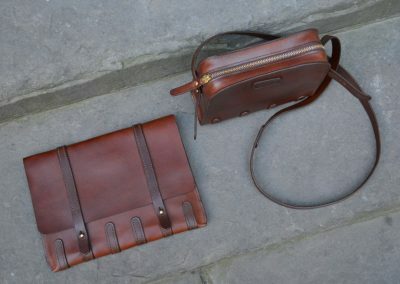 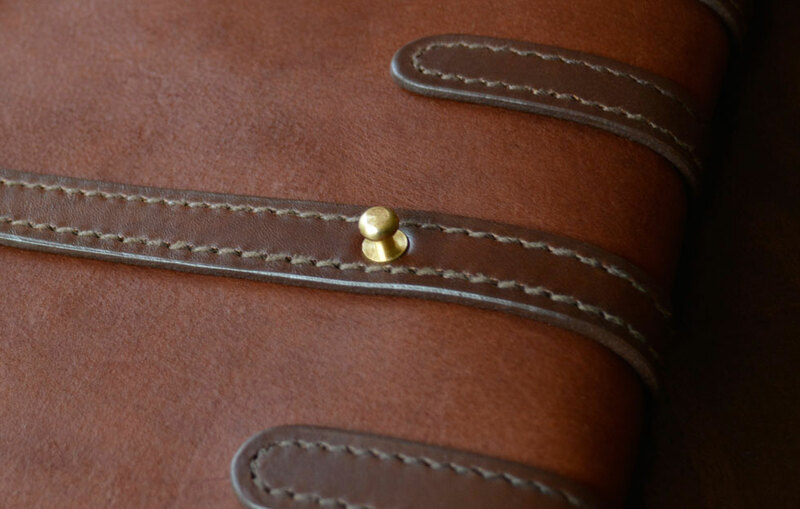 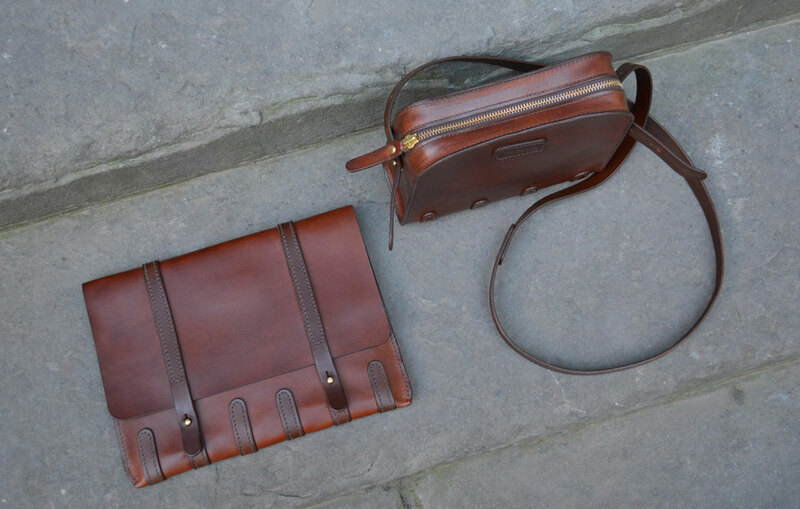 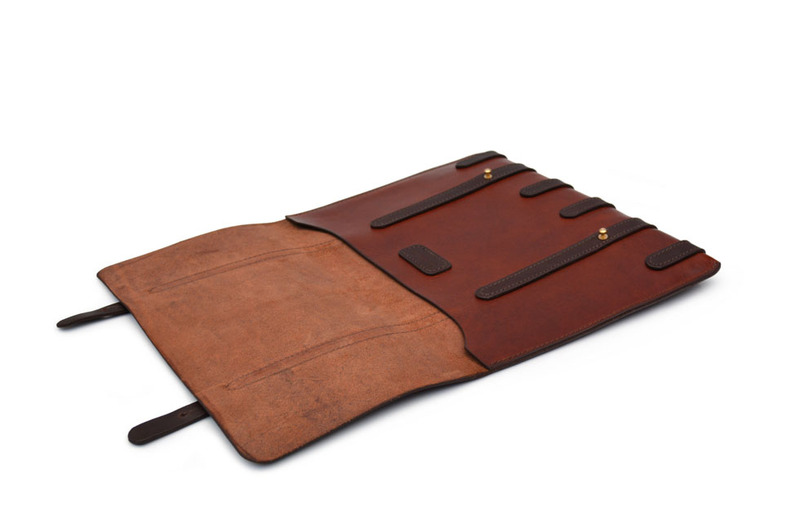 It features a row of elegant leather skids, two of which extend through to form practical closing straps. 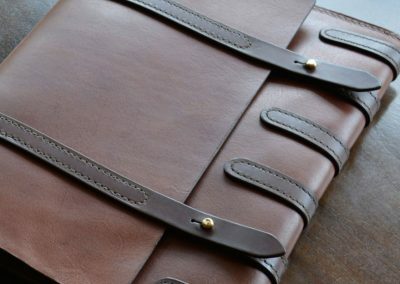 Secured with simple brass studs. 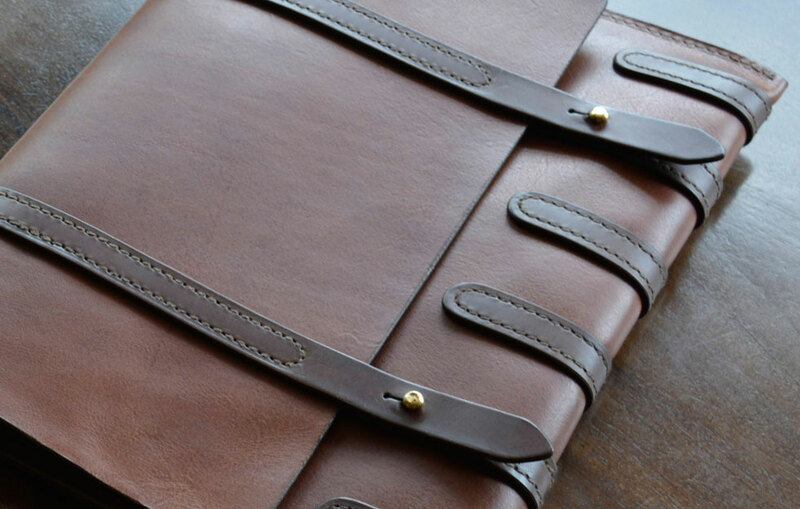 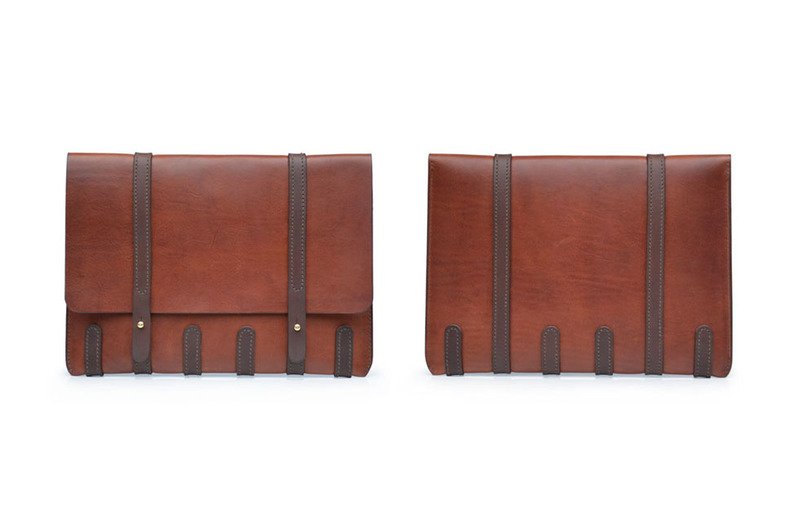 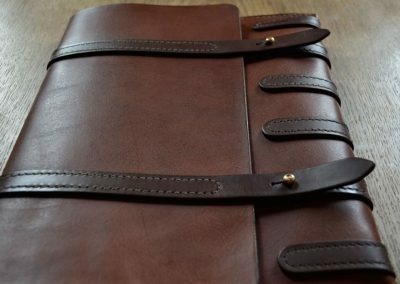 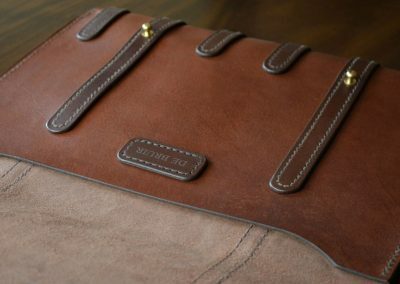 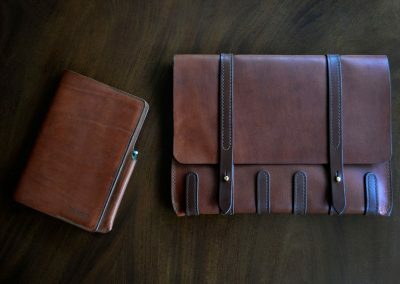 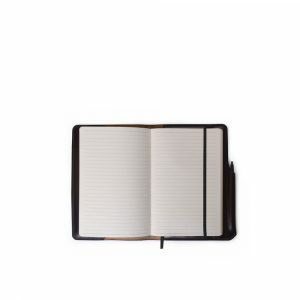 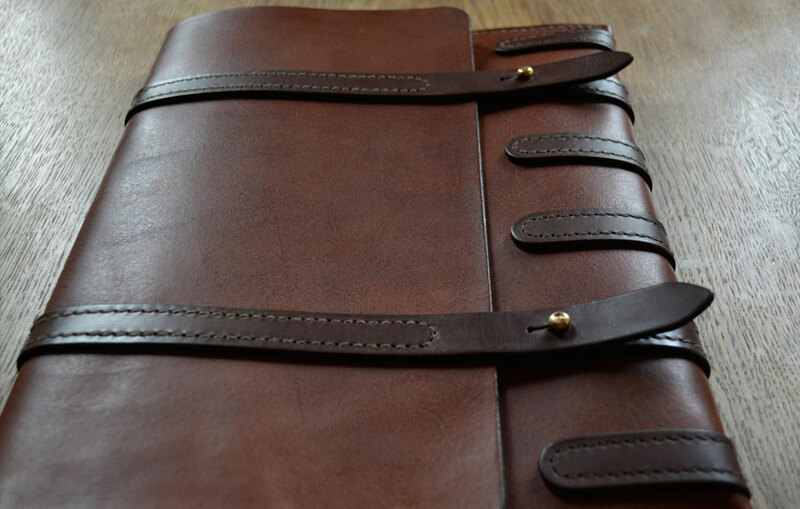 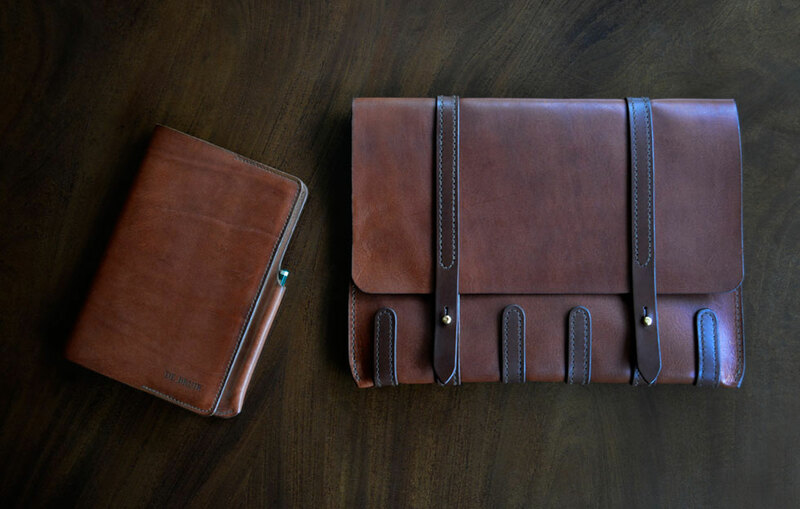 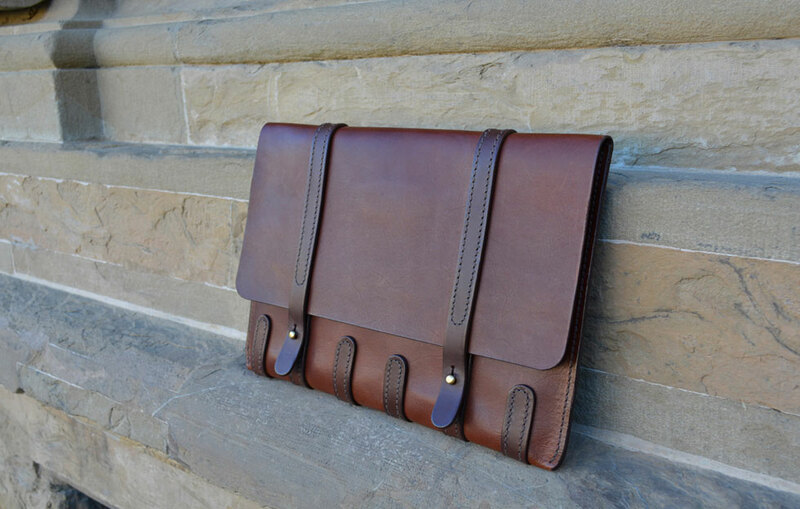 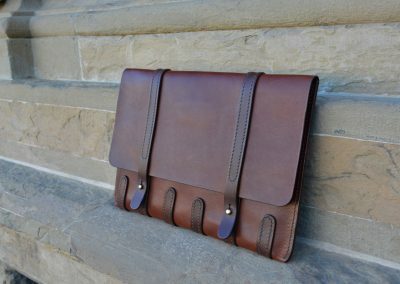 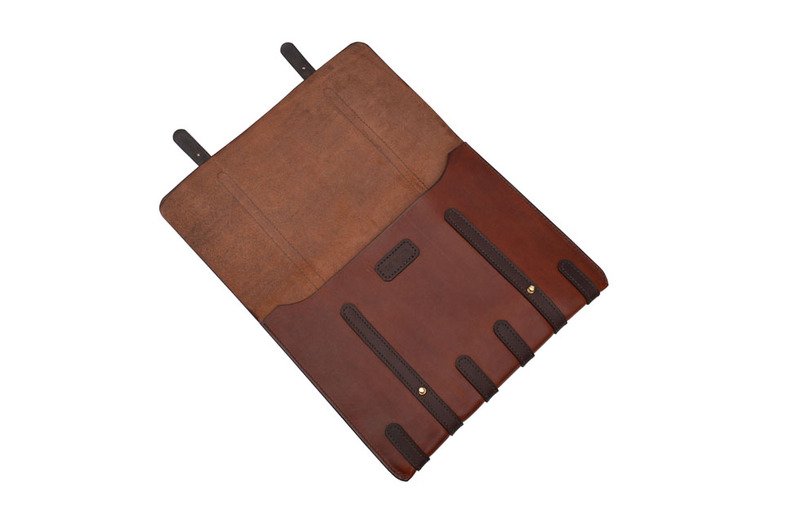 The Folder fits a 13″ Macbook and notepads.